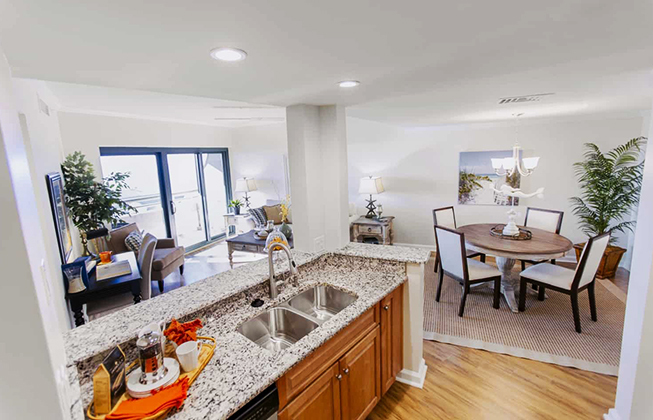 Westminster-Canterbury on Chesapeake Bay is a beachfront Life Plan Community that offers seniors a resort-style retirement and opportunities for rest, relaxation, discovery and recreation that you can’t find anywhere else. Here, invigoration can be yours in an instant. To look outside is to admire the view; to step outside is to excite your senses. That's the thrill of beachfront living. 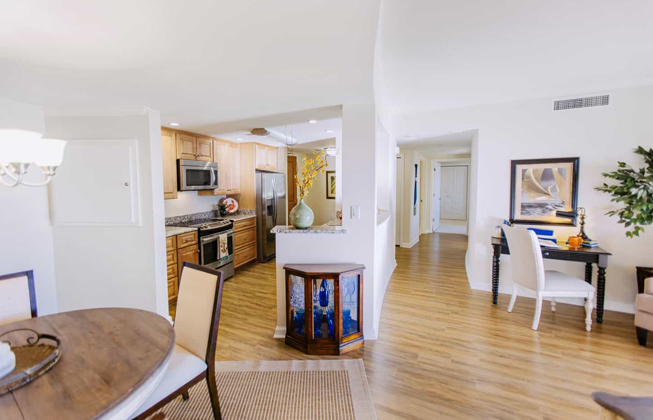 A step from your door can put your toes in the sand or in the direction of several local marinas, parks, golf courses, walking paths and bike trails, while your return home can be celebrated with a gourmet meal. And here, you can enjoy the security of LifeCare, including 5-star-quality health care for life. 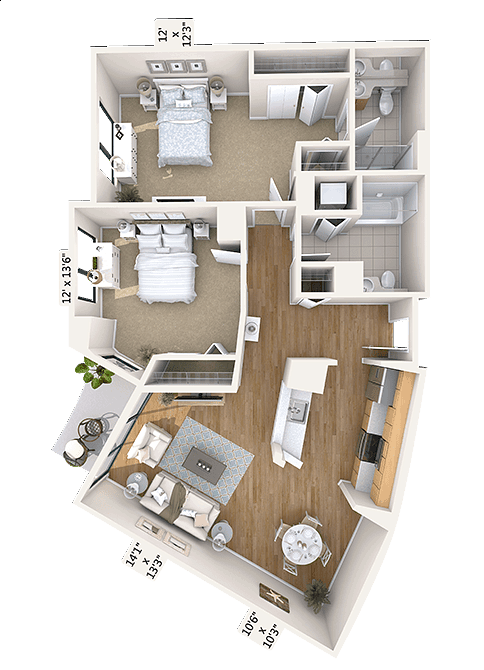 We invite you to take a closer look at our floor plans, including those specially featured below. Then call us at 800-753-2918, or click here to schedule a personal tour! 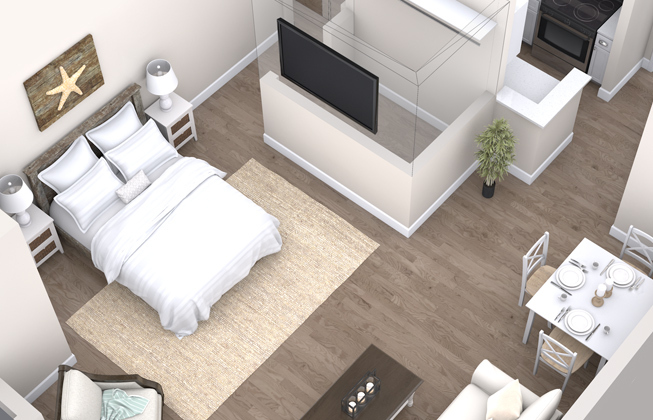 No matter which floor plan you choose, it will come complete with full interior and exterior maintenance—and wall-to-wall resort-style conveniences! 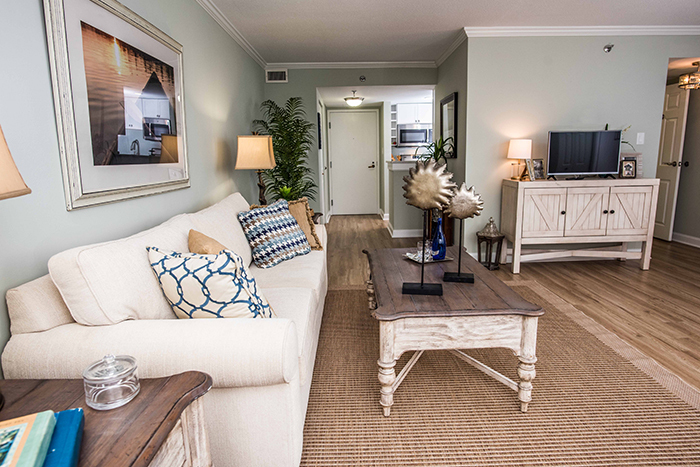 Our 567-square-foot Dolphin apartment homes present the ideal floor plan for today’s active and independent lifestyle. 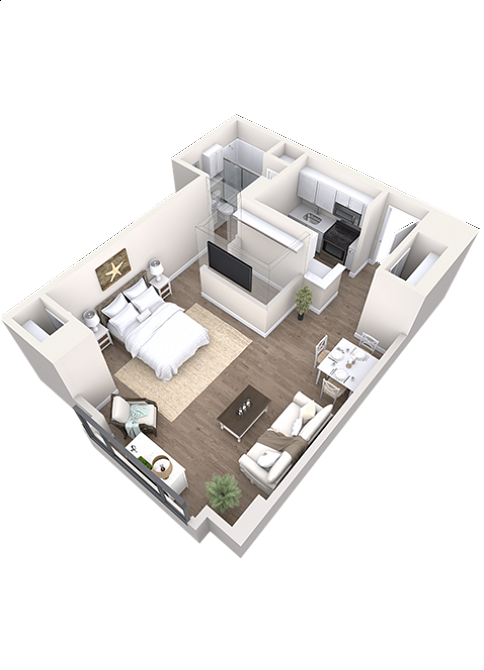 The apartment has been designed with an open layout. 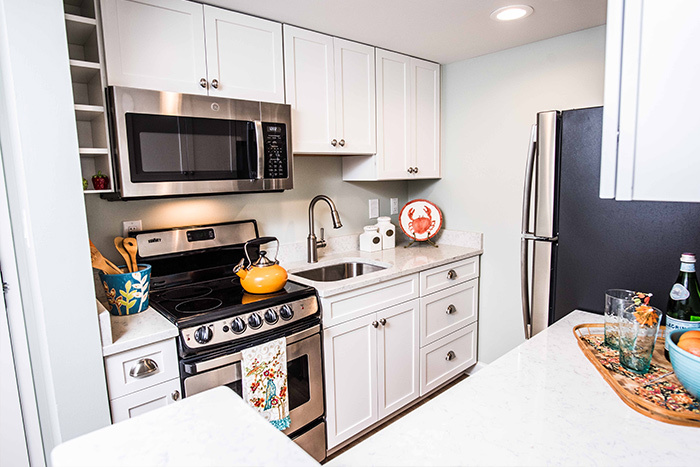 You can start your day making breakfast in your kitchen complete with new appliances and beautiful cabinetry, or you can choose to get a head start at one of our restaurants. 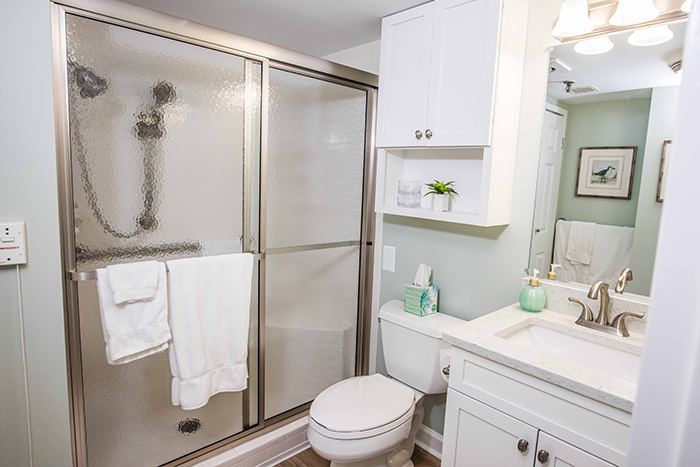 A full bathroom with step in shower makes it easy for you to get ready for any occasion. Large windows let in ample natural light into your living room. 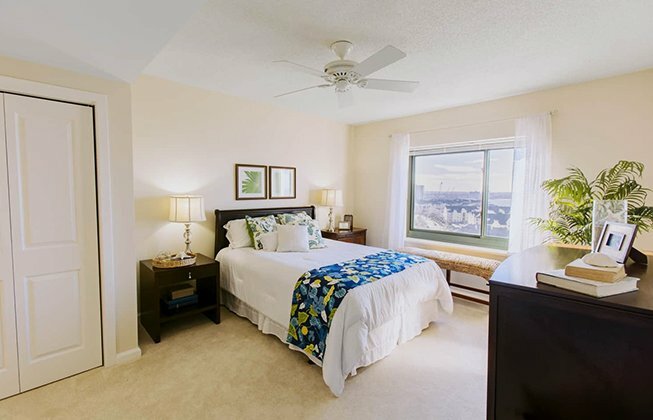 Westminster-Canterbury on Chesapeake Bay takes care of all exterior maintenance and housekeeping, leaving you with plenty of time to live each day as if you are on vacation. 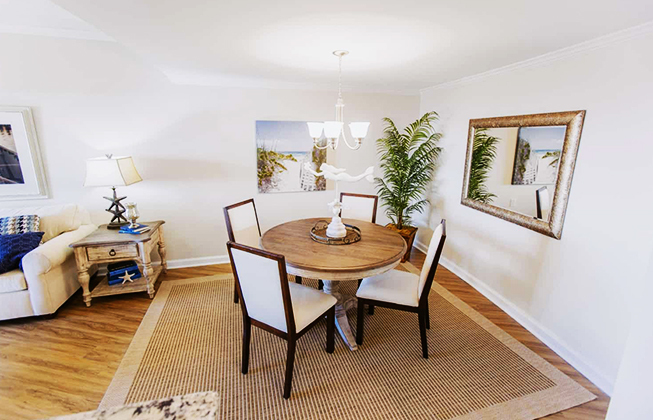 Enjoy beachfront activities, entertaining guests with the pleasures of fine dining, take part in our social events or fitness and wellness programs, or seek out excitement with so many great local attractions nearby. 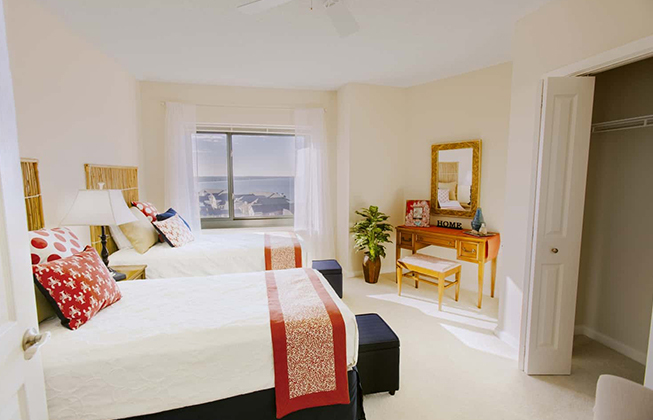 Our Dolphin apartments have been designed for comfortable and distinctive living. Careful consideration has been given to details that provide maximum security, safety and accessibility. These features are not always noticeable in day-to-day living, but they provide our residents with the added dimension of peace of mind. 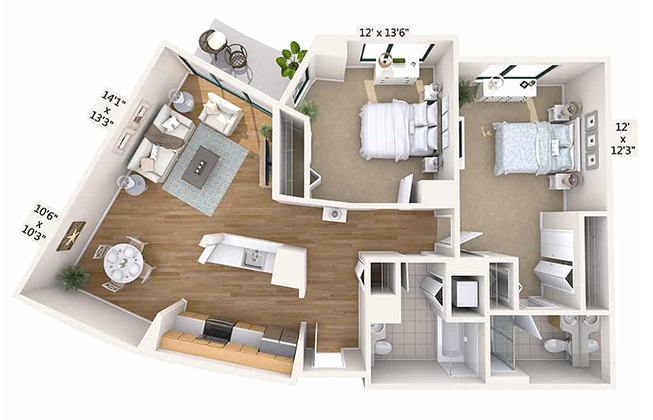 Our 1,190-square-foot Osprey apartments present the ideal floor plan for today’s active and independent lifestyle. 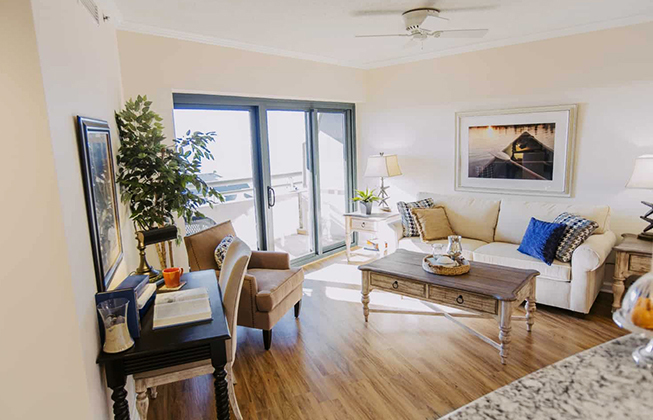 Whether your plans include a spacious private getaway or hosting frequent guests, a two-bedroom, two-bathroom Osprey apartment will accommodate with comfort, sophistication and plenty of living space. 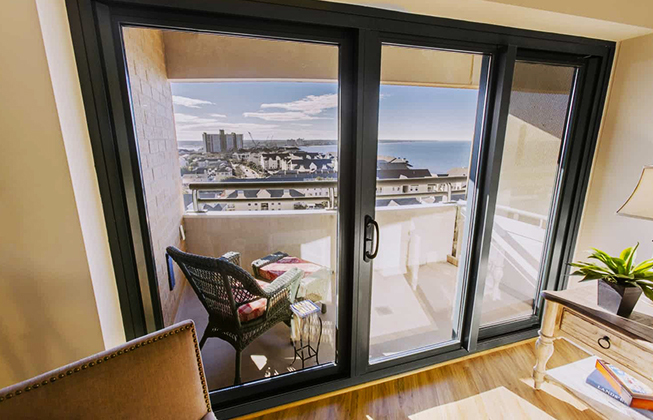 Here, you can step from the refreshing bay breezes of your balcony into a spacious living and dining room made cozy with your personal touches. From there, breeze into a kitchen that features full-sized appliances and a garbage disposal. Just down the hall you’ll find a washer and dryer, so you can be assured that your beach attire can be laundered at home and hung in one of your four closets! 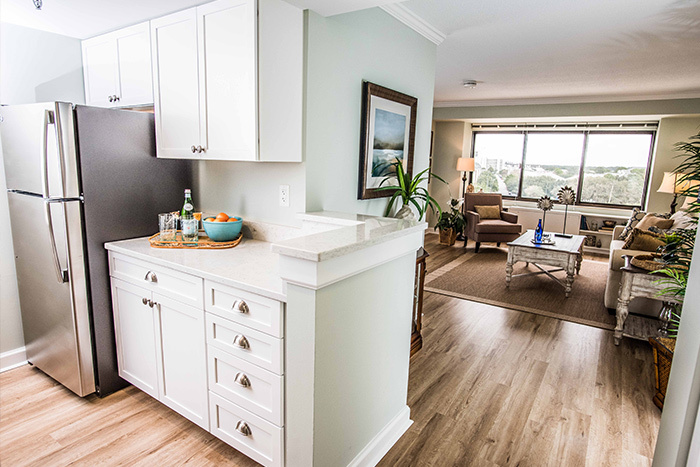 And laundry will be the only task you’ll have to handle in your wonderful Osprey apartment. Westminster-Canterbury on Chesapeake Bay takes care of all exterior maintenance, leaving you with plenty of time to enjoy our spectacular beachfront, the pleasures of fine dining (compliments of our award-winning team of culinary experts), our fitness and wellness programs, great local attractions, and much more! 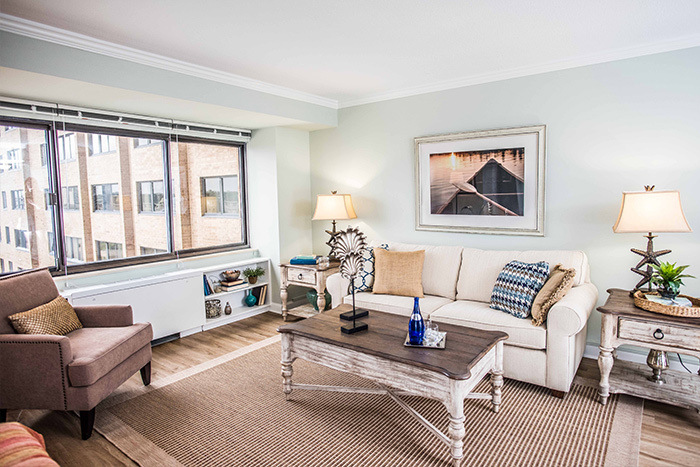 Our Osprey apartments have been designed for comfortable and distinctive living. Careful consideration has been given to details that provide maximum security, safety and accessibility. These features are not always noticeable in day-to-day living, but they provide our residents with the added dimension of peace of mind. For more information, please call us at 800-753-2918 or click here to schedule a tour.